We occupy a unique space in a complex industry. Explore how we are different. 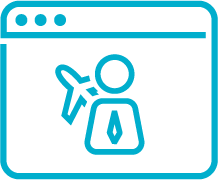 We're real people who are passionate about helping you connect to the future of the airline industry. Take a look at our leaders. We're proud to be the technology and airfare data provider for airlines worldwide. Discover who we work with. We've been a key player in the airline industry for more than 50 years. Find out why. You can find us around the globe. Connect with us today. Ready to take your career to the next level? Apply now. To get the most out of the industry's most comprehensive airline data set, you need tools powerful enough to handle it. With more than 170 million fares for more than 430 global airlines, we're the travel industry's backbone for fare, ancillary, and rich content. We get excited about reimagining the future of flight and the way people travel. Expertise to grow your idea, get you the right data, and the network to get you connected. We bring the industry together so that we can find the answers you need. We set the standard for all methods of distribution-established and emerging. We're leading the conversation on dynamic pricing and how to enable it across the airline industry. We’re discovering new insights and growing within the airline community . Come see what we’ve been up to. The way the world buys flights is changing. Hear about what’s happening in the industry. We’re traveling the world! See us at these upcoming events. Now you can put your rich content plans into motion. This acquisition connects Routehappy's airline rich content with ATPCO's industry-standard airfare data, streamlining the flight shopping experience across all points of sale. Read the Press Release. We’re not the only ones excited. "This is a huge win for moving the industry away from selling a commodity to showcasing an experience. As online shopping experiences and traveler expectations change, the widespread adoption of rich content will enable us all to differentiate our offers and show our customers the experience they are purchasing. This just makes sense for the industry and travelers." "Routehappy has helped United differentiate our products and services in clear and meaningful ways. The tools Routehappy offers enable a more seamless shopping experience for our travel agents and customers." Make your offers stand out everywhere they are sold so you can increase conversion opportunities through a consistent and bold presence. 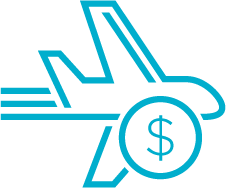 Trust you have the industry's most comprehensive pricing data and associated rich content to accurately describe each airline's offer. 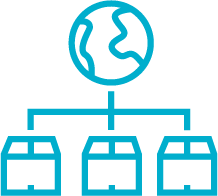 Airlines, retailers and travelers each benefit from the economies of scale created by centralizing rich content with ATPCO and Routehappy. Routehappy has spent the last seven years solving a flight shopping problem: flight search was too focused on price and schedule, despite the breadth of product differences available today. Each customer can customize their integrations to meet their own business goals for fitting rich content seamlessly into their systems. It’s time to deliver trusted rich content at every point of sale. February 1, 2018 marks an important occasion in ATPCO’s 53-year history: we acquired Routehappy, making them an industry standard for airline rich content and taking a significant step toward our vision to empower smart connections of all content through all channels. Airline data platform ATPCO acquires rich content provider Routehappy. ATPCO, the leading source for airline industry pricing and shopping data, today announced the acquisition of Routehappy, the airline industry’s leading rich content provider for flight shopping. It’s time to give travelers what they want. Traveler expectations for online shopping experiences have changed. We’re used to seeing photos of products and hotel rooms and knowing what amenities are available before we hit that “Buy” button. The airline industry is too smart to be left behind.